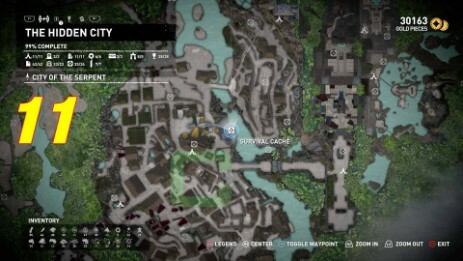 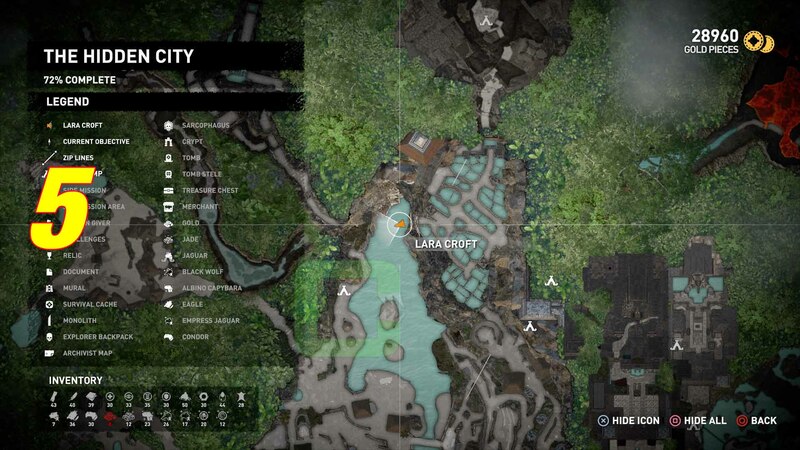 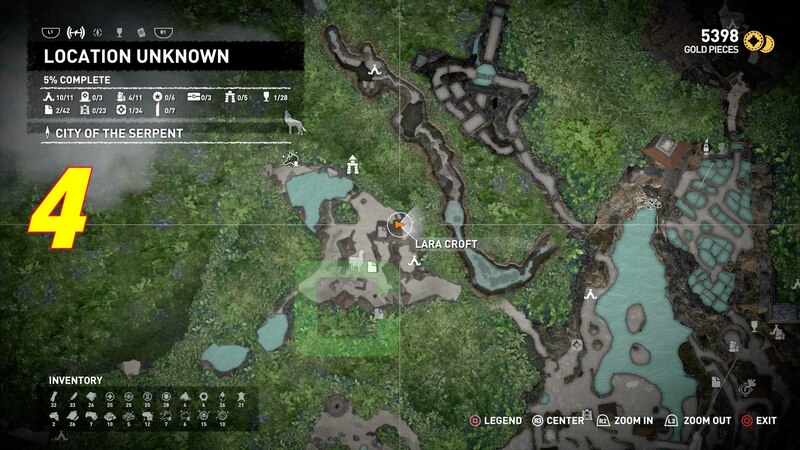 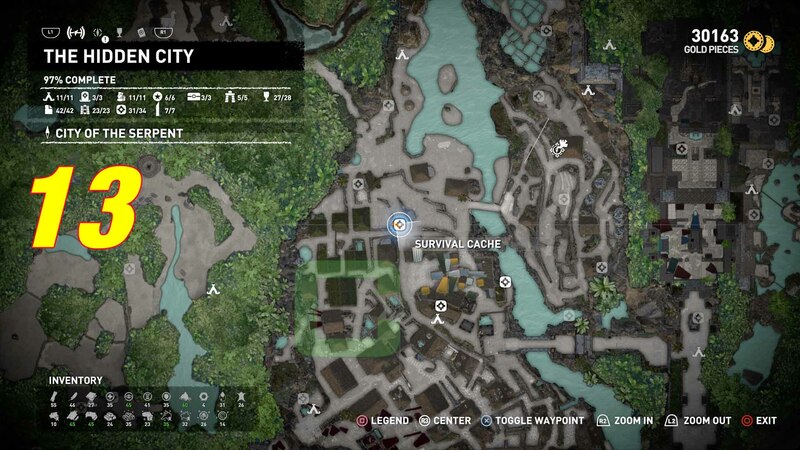 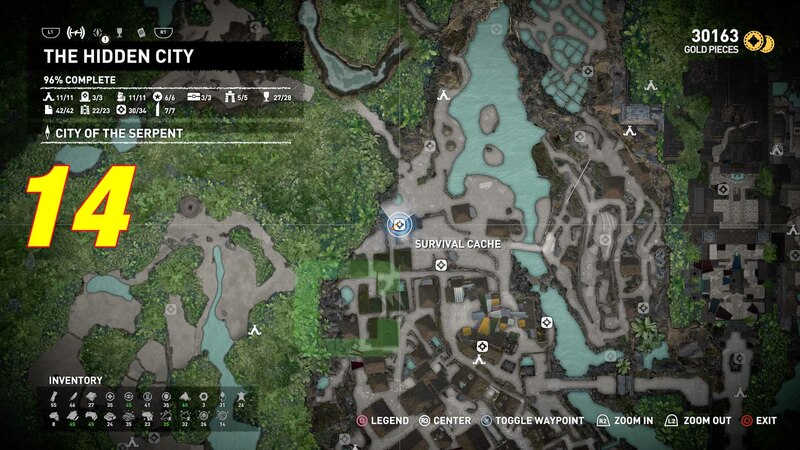 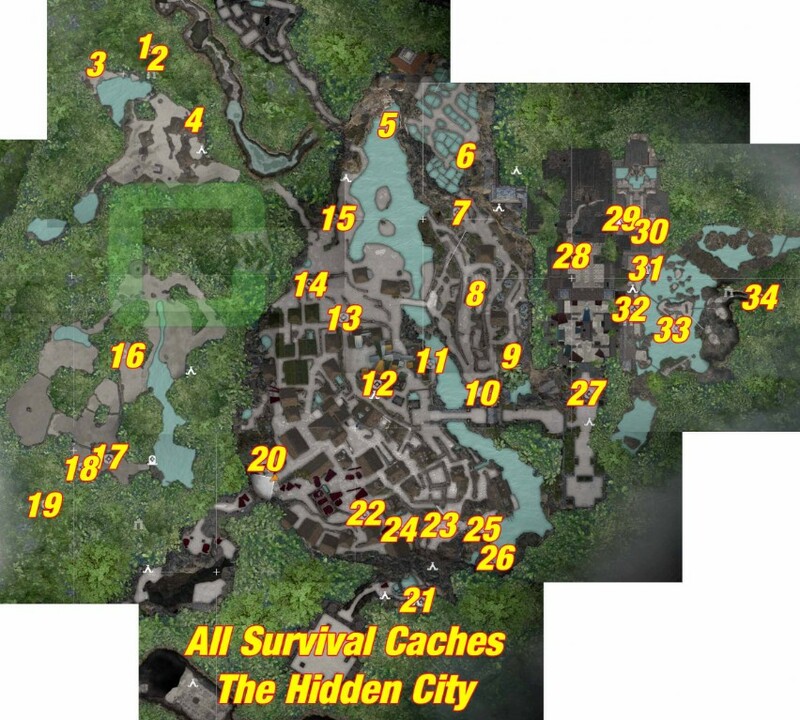 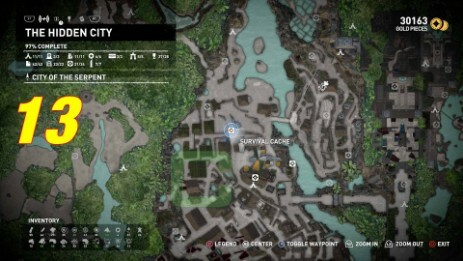 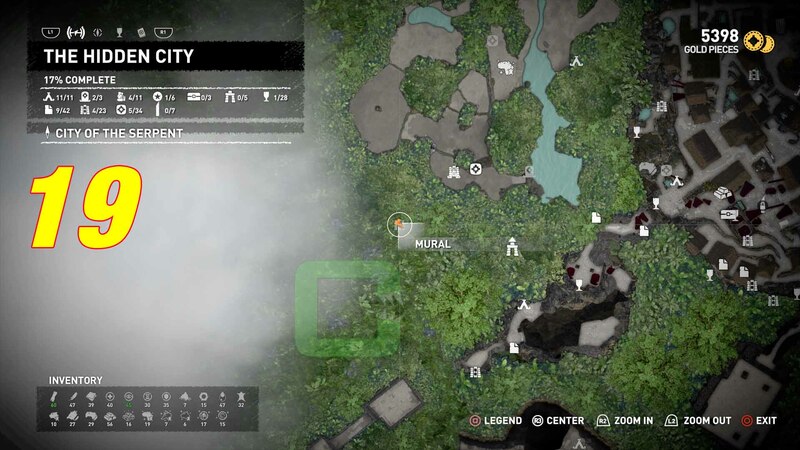 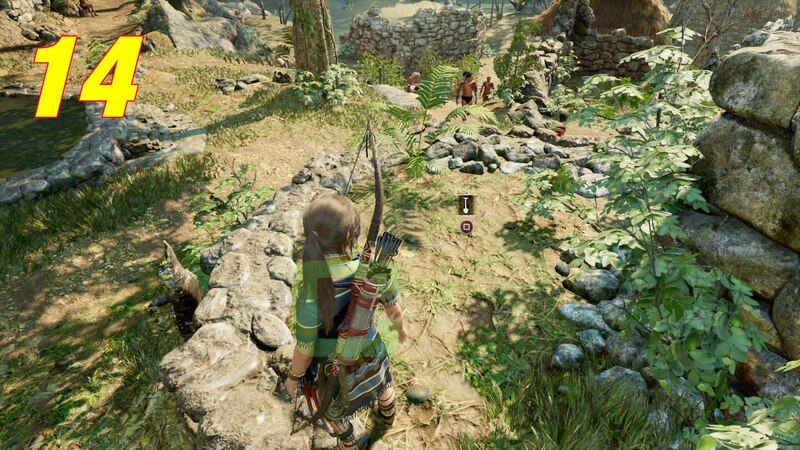 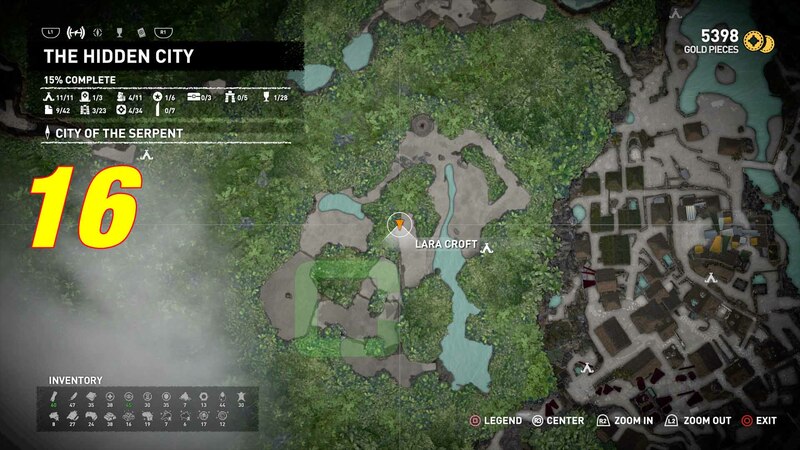 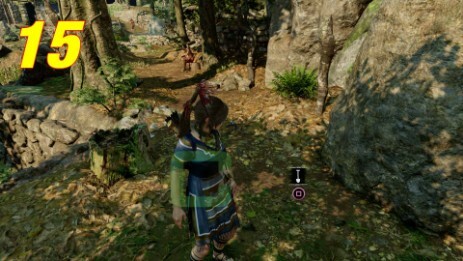 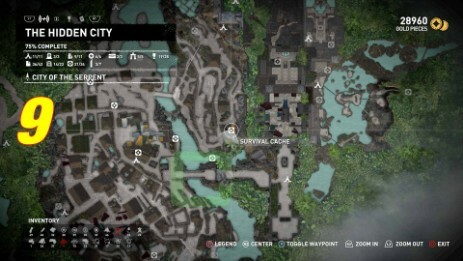 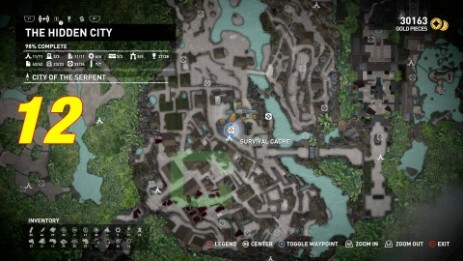 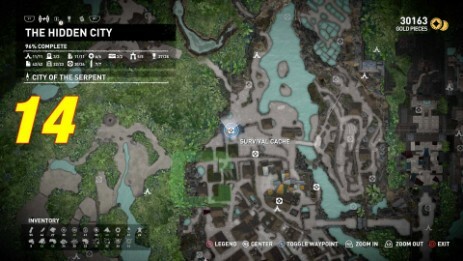 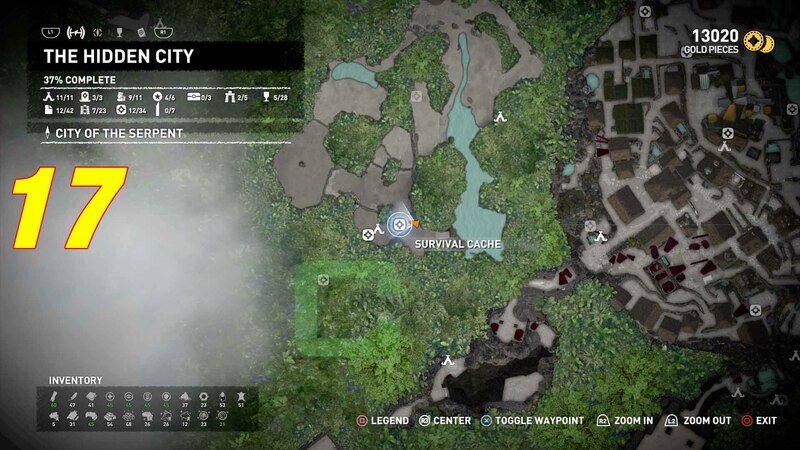 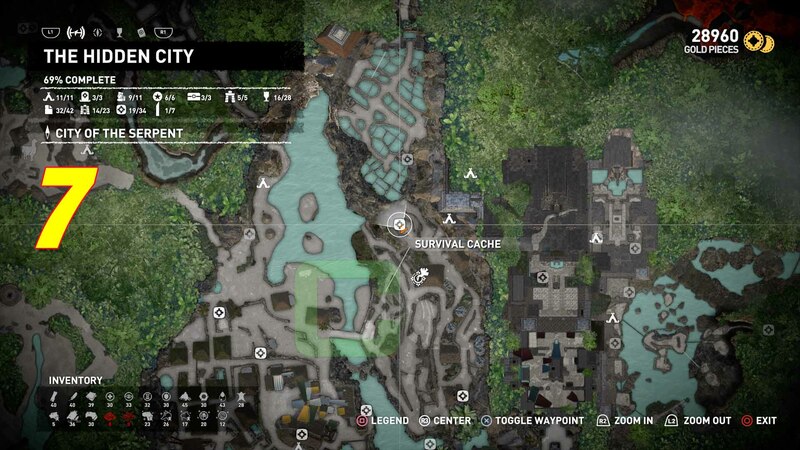 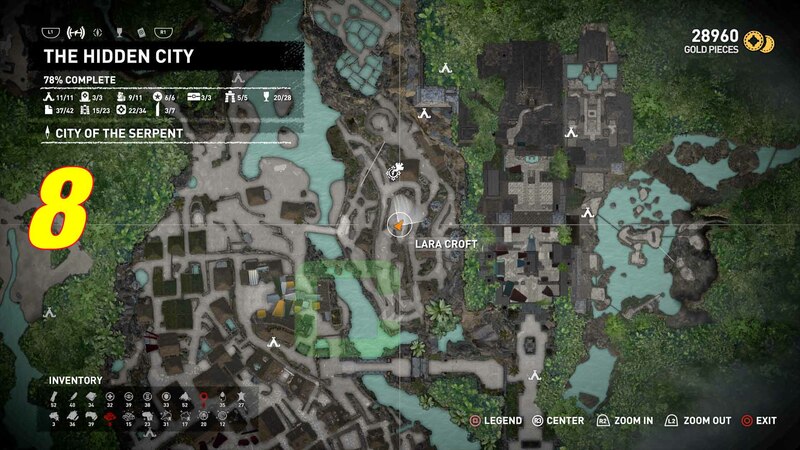 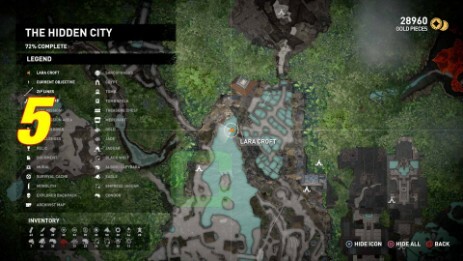 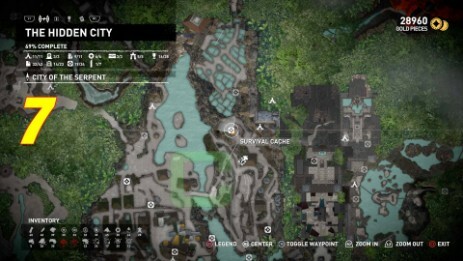 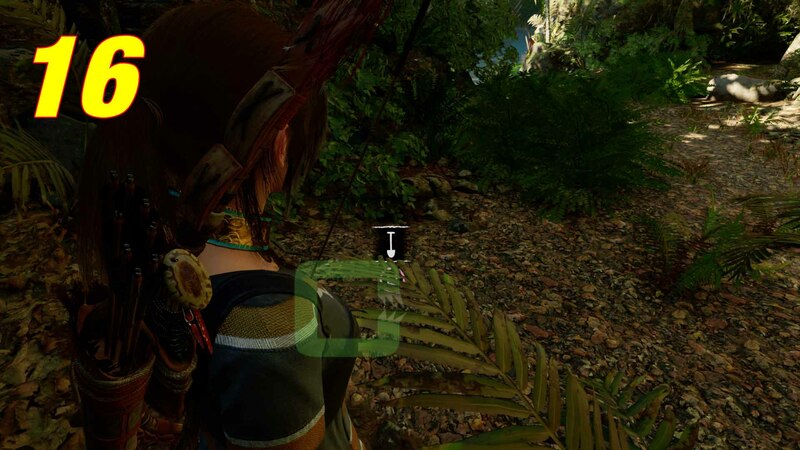 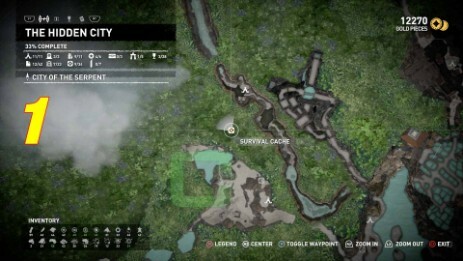 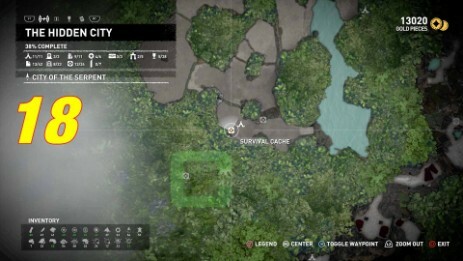 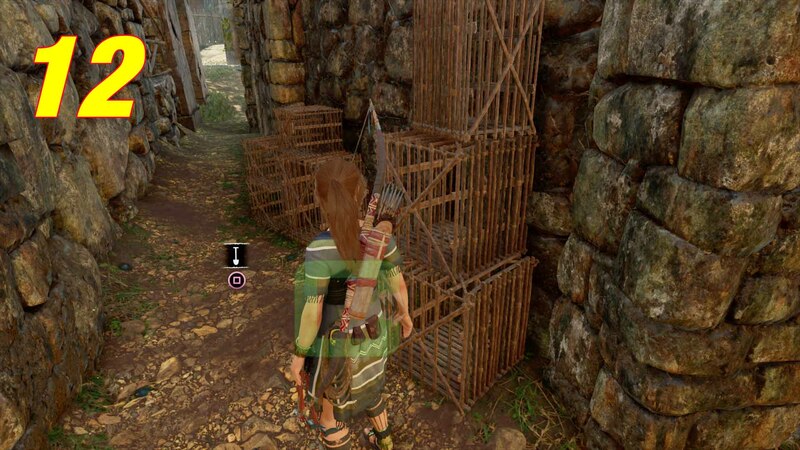 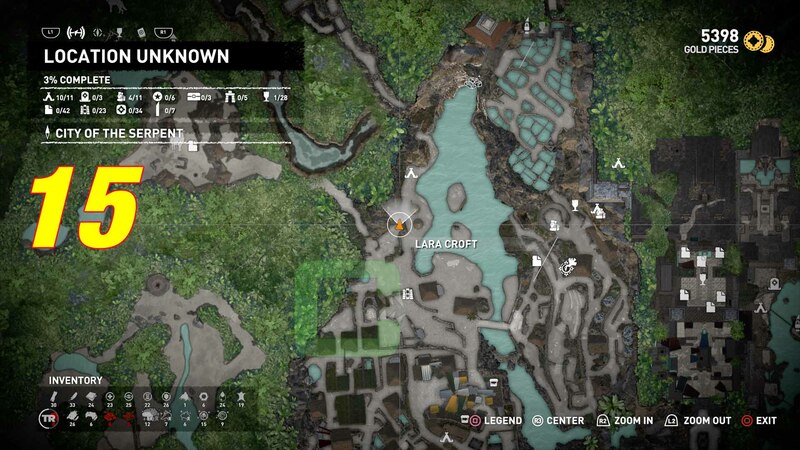 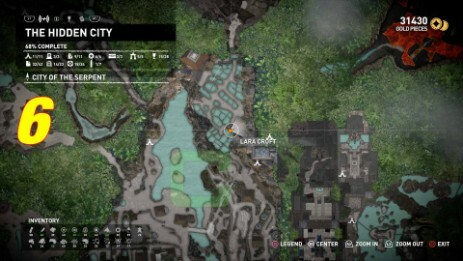 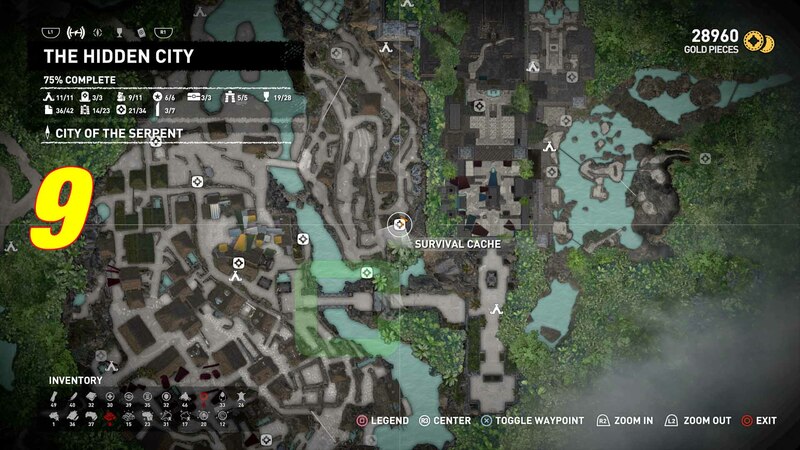 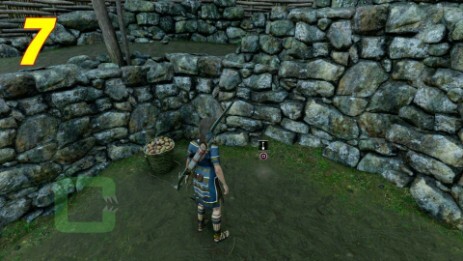 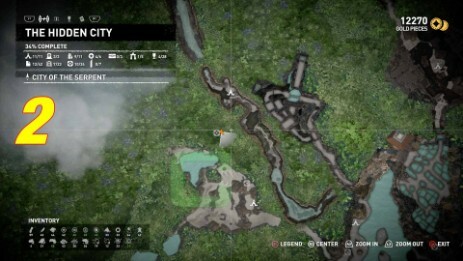 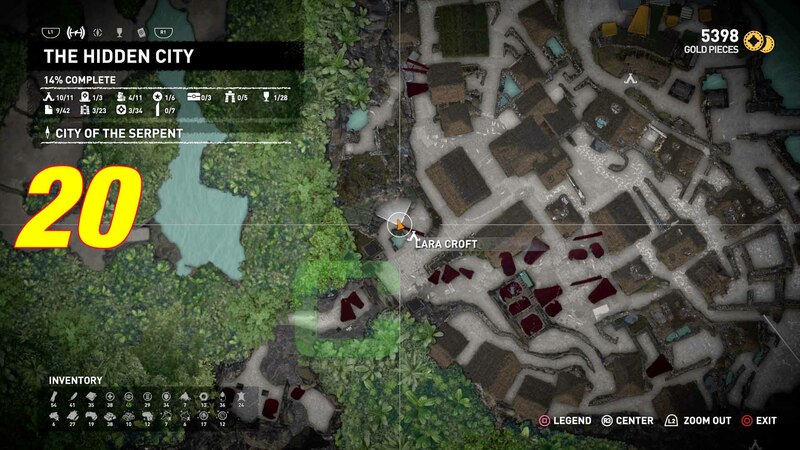 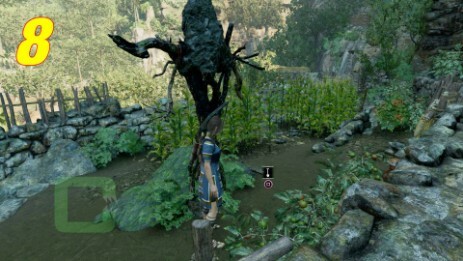 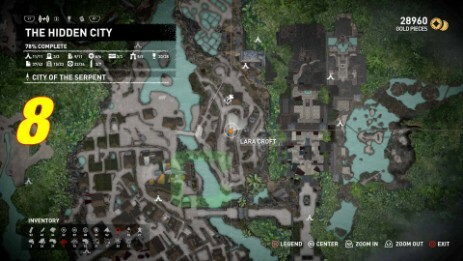 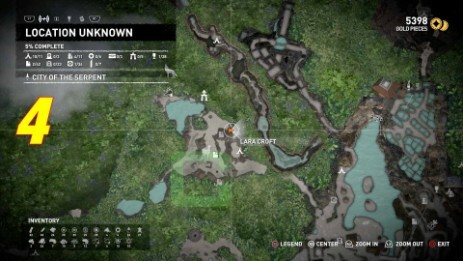 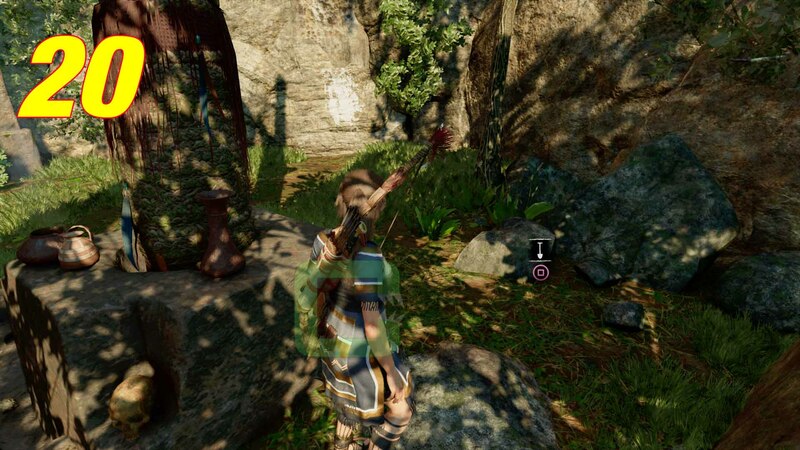 There are 34 Survival Caches at The Hidden City. Inside the crypt. 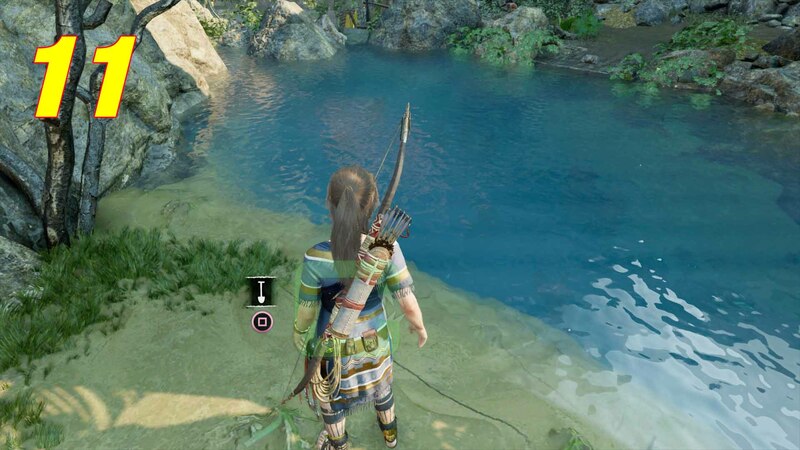 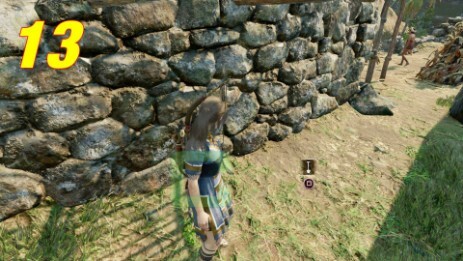 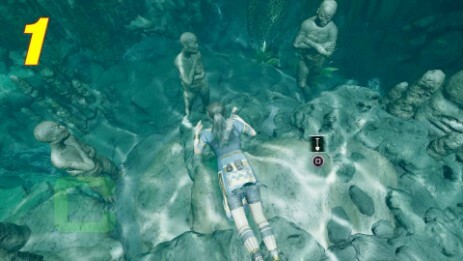 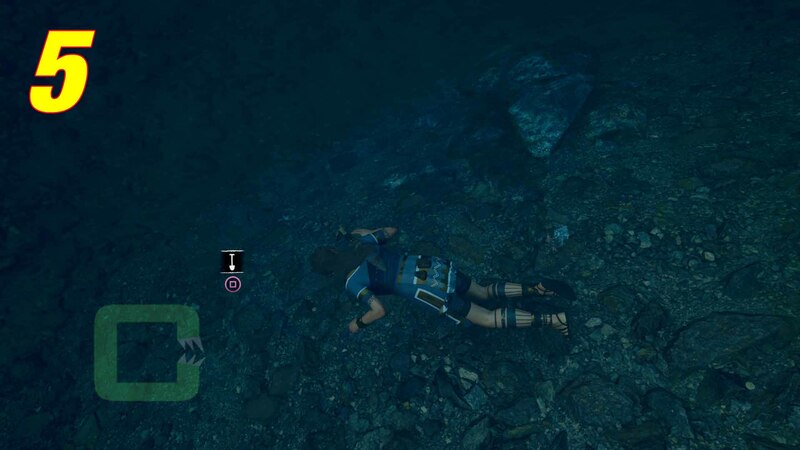 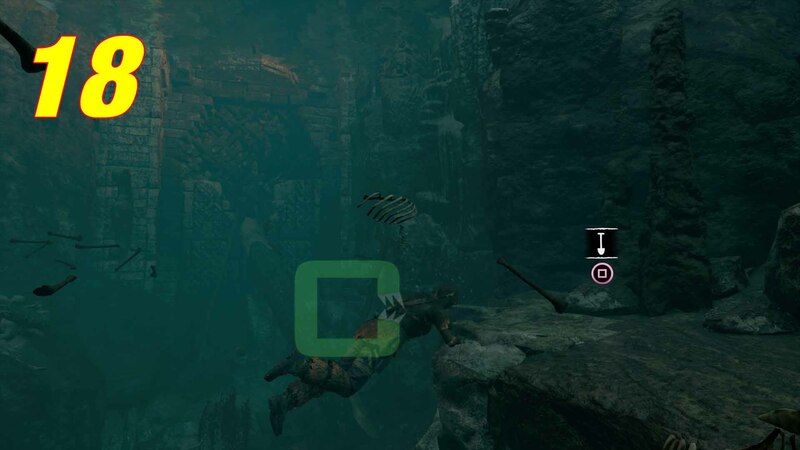 When you dive into the pool, it's right there underwater in the center. 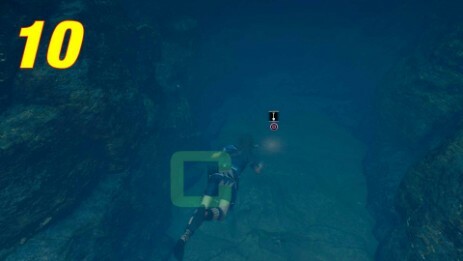 Inside the crypt, after some diving you get to an underwater area, where you have to pry open a passage to go to the sarcophagus. 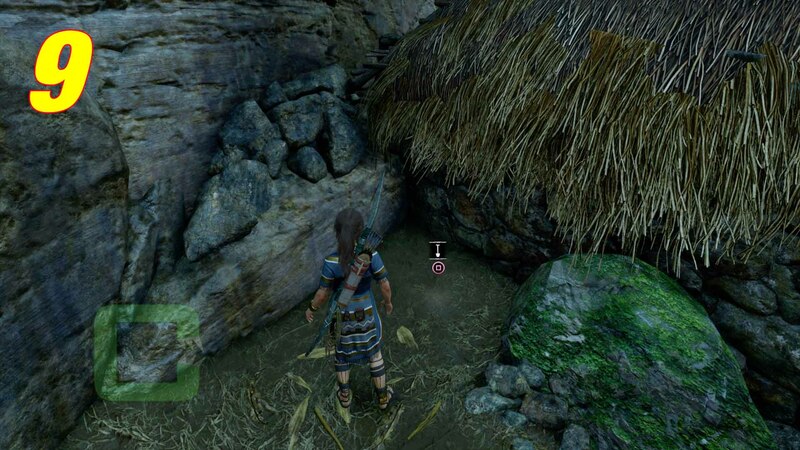 Don't go through the passage. 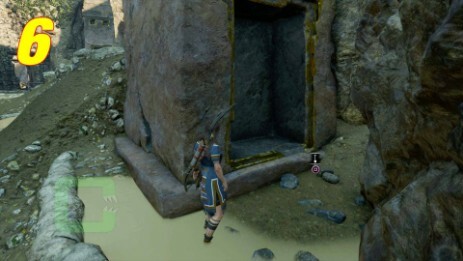 Right opposite this passage, in the underwater altar room, there is another room to a dead end. 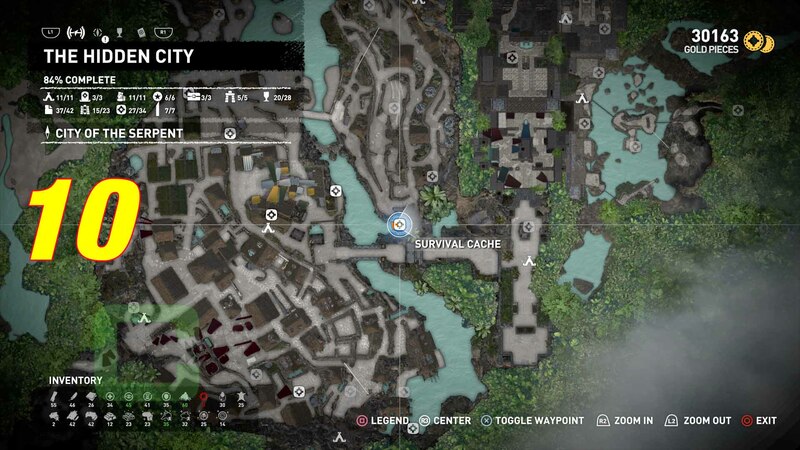 The cache is underwater in this dead end. 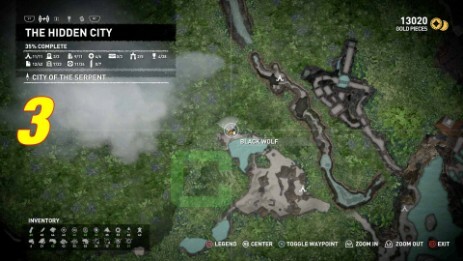 At Black Wolf's cave entrance. You need to make a rope line from the other side of the building to get here. 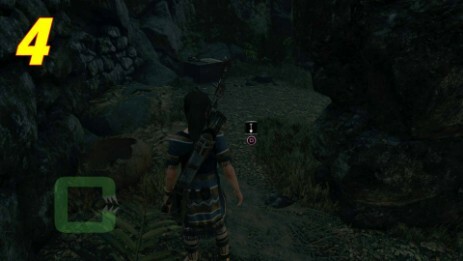 An alley north of the Paititi Market. 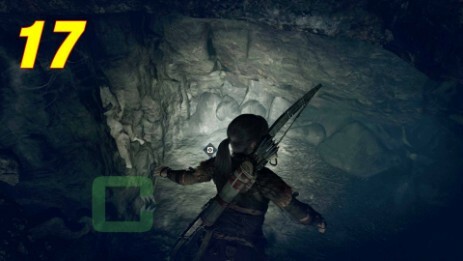 Inside the tomb, at the first dive. 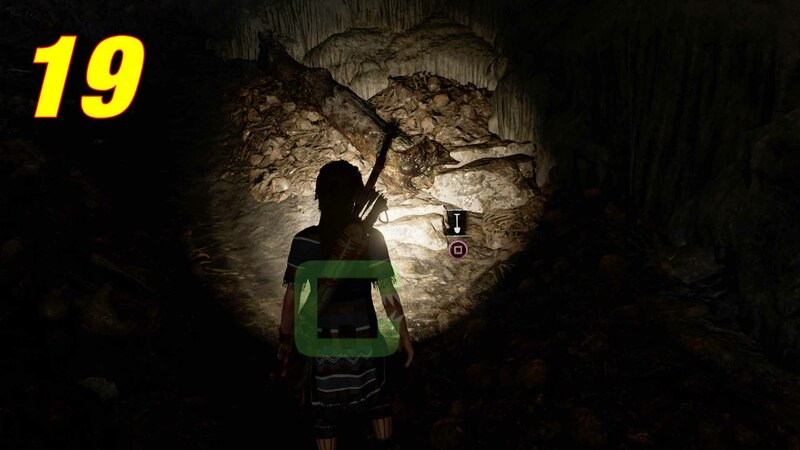 Inside the tomb. 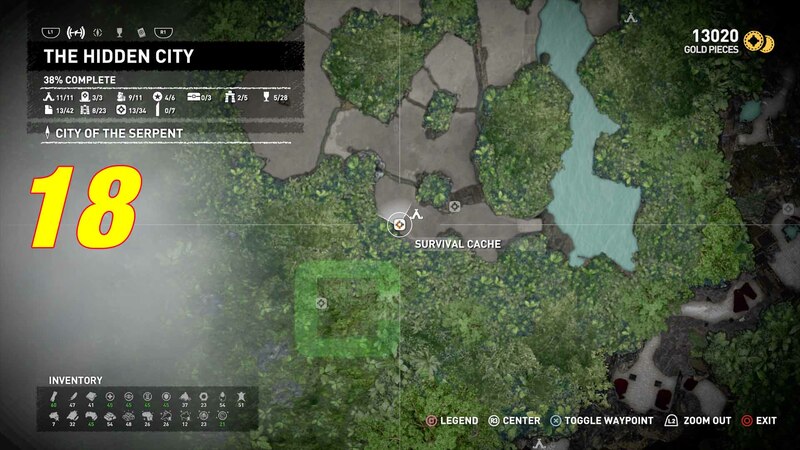 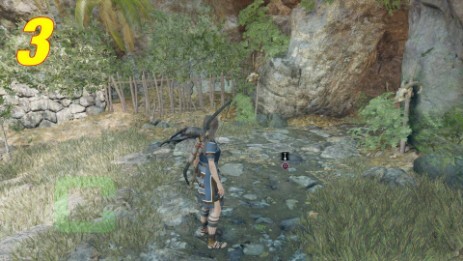 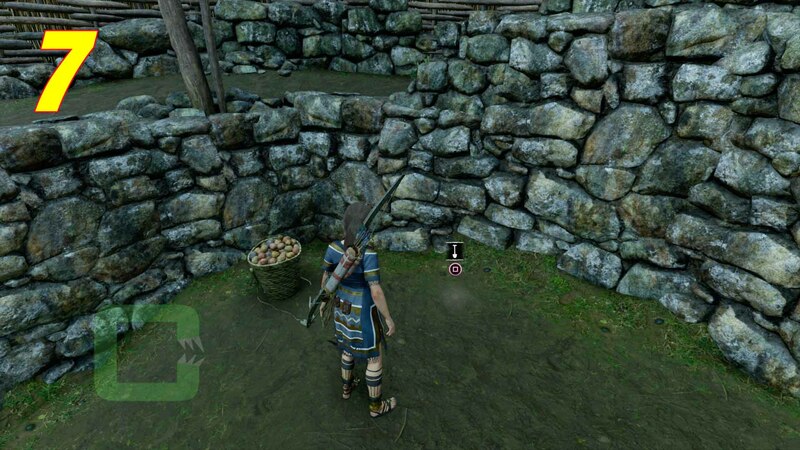 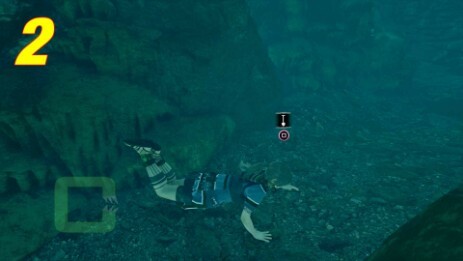 Before you get to the main area, this cache is underwater. When leaving the main tomb area.